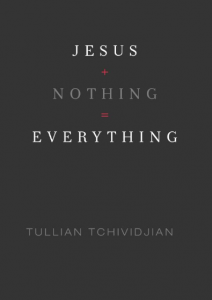 In 2011, Tullian Tchividjian (cha-vi-jin) wrote this book titled, Jesus + Nothing = Everything. As I read the book it was like many before it, a man who grew up in conservative circles and then, because of deep struggles in his life, threw off what he considered legalism and went after a progressive and liberated life-style. The difference with Tchividjian, however, is that he is the grand-son of evangelist Billy Graham and had become the pastor of Coral Ridge Presbyterian Church in Ft. Lauderdale, Florida, the church well known for its founding pastor, D. James Kennedy. In changing the traditional style service into a contemporary service, he was challenged strongly by members of the church but finally survived a confidence vote. Did this new-found form of sanctification keep him from sin? Sadly (and I say so seriously) in 2015 Tchividjian had to resign as pastor of Coral Ridge because of an extra-marital affair. The movement that he and others began called Liberate Theology is now defunct. Sure, similar stories can be produced from all spectrums of Christianity, but antinomianism opens the door much wider.